Lately I’ve been very interested in learning about innovative was to reduce my household waste. Human beings create a lot of waste. According to the CBC Canadians produce more garbage per capita than any other country on earth. We rank in last place out of 17 countries and gets a “D” grade on the municipal waste generation report card. This is crazy! We live in a country filled with beautiful and amazing natural resources… and we’re polluting them with our garbage. So, I’m going to write as many articles as possible explaining simple, cost effiective ways that we can reduce our waste in every day situations. There are some basic things like using reusable water bottles and coffee mugs, but I want to provide some examples of products that the majority of people may not be aware of. I’m going to start with a few examples of alternatives to plastic food wrap. 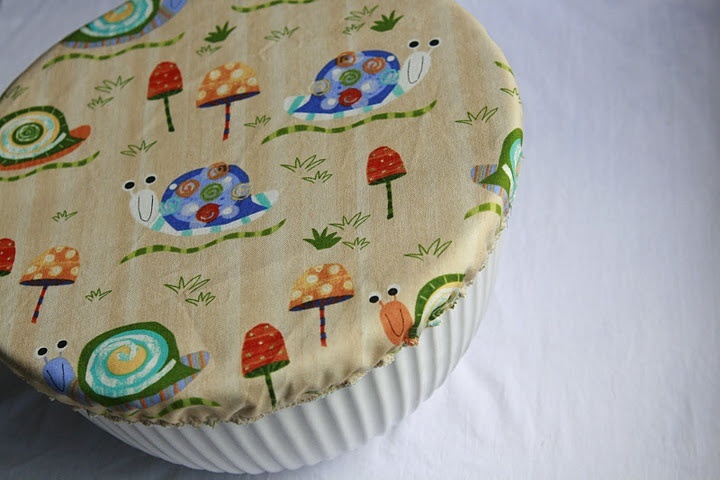 There are so many creative products out there for covering your food, bowls and plates. One of my favorite products is called Abeego and it uses fabric coated in bees wax to wrap your food. They are amazing! You use the warmth of your hands to mold the wrap around your food, bowl, lemon, cheese, etc. It cools and stiffens in the fridge and creates seal around your food. When you’re done using it, wash in a cool water and use again and again. When it starts to break down (after years of use) you can toss it in your compost bin and it will naturally biodegrade. I’ve had mine for 6-7 years and they’re still working great! There are several different brands out there. I’ve provided the links to a few below. These are pretty straight forward and are exactly as they sound. They are easy to make yourself (if you know a little about sewing) and are widely available on websites like Etsy. If you want to try and make a few yourself, check out the tutorial on the Kitschy Kitchen blog. I have yet to try the silicone lid option. I’m more inclined to use something that will break down and return to the earth after its use (cradle-to-cradle type of thing), however these silcone lids will last for years before needing to be replaced. The most common brand available (both online and in retail outlets) are made by Charles Viancin and can be purchased from his website, as well as Amazon.com and Costco.ca. If you have any other ideas of how to stop using plastic food wrap, please let me know and I will add it to the page.